Welcome to the Fulltime Nomad Resources section. Below you will find a curated list of tools, services and websites we recommend for building and optimising your business. We’ve also included some of our travel recommendations to make digital nomad life easier. We have tested and used EVERY resource on this page. Many of them have been CRUCIAL to the running of our business over the years, others have helped us make travel life easier. Starting an online business of any kind is hard work and when you’re new it’s hard which tools are worth the time (and money!) and which ones aren’t. So we hope you find this list useful. * By the way, it’s important for us to let you know that some of the links below are affiliate links. This means, we make a small commission if you do decide to purchase any of these tools (at no extra cost to you, of course.) Please know that we ONLY recommend tools here, that we have used and can stand by. Bluehost is one of the biggest and most well known hosting providers out there, and not without reason. They make it very easy to get started and their one-click WordPress Installation allows you to have your site up and running in minutes. As a newbie business owner, we know you don’t have a ton of money to spend. 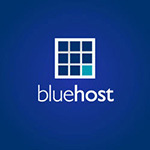 We highly recommend using Bluehost for your first website because it’s so easy to set up and it’s cheap. You can get started for as little as $2.95 a month and that includes a free domain. Click here to claim your exclusive Fulltime Nomad deal for BlueHost. You don’t need to be a web designer to design a beautiful website. 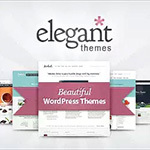 Elegant Themes makes this very easy and that’s we LOVE it. Fulltime Nomad and many of our other websites are built using the Divi Theme – which is one of the most popular themes for newbie bloggers. Divi is easy to use but if you don’t love it, the Elegant Themes suite includes 70 different theme options so you’ll have plenty of choice. Plus, there’s a 30 day money-back guarantee so why not try it and see if you like it? 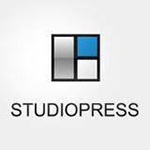 The other collection of themes we absolutely love and have used on our other websites is Studio Press. We’ve used the Genesis framework and found it very easy to customise and get the look we want, without having any IT or web design experience. We wouldn’t have a freelance business if it wasn’t for Upwork. Don’t listen to the naysayers – there is plenty of well paying work to be found on Upwork, in almost every field of work. Many of our existing clients came through Upwork and we’re still working with them! 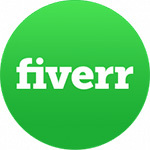 Fiverr is a fantastic platform to outsource one-off jobs, we’ve found. From repetitive SEO tasks to basic logo design – we’ve often used Fiverr to get quick jobs done. 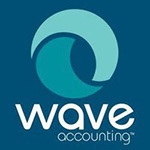 We use Wave for all our invoicing and accounting needs. You can create professional invoices, manage all your income and expenses and never lose track of where your money is going. It’s especially great for a newbie because it’s free to use. 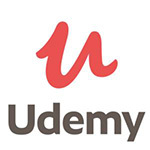 Udemy is our go-to site for doing courses online. There are hundreds of courses on the site so you can learn anything from photography to social media marketing via a course on Udemy. Most courses are also very affordable (sometimes as little as $10) so you can learn a new skill without breaking your budget. We’re huge fans of audiobooks. We like to listen to them on long plane journeys and at night before going to bed. 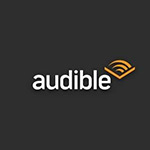 We find Audible audiobooks a great way to keep up with books, even when your eyes are too tired to read a book. Of course, in addition to audiobooks we also read a lot of books. 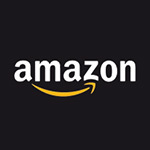 There are very few books you can’t find on Amazon so our Kindles are always full of books to be read – including but not limited to business-related books, personal development, biographies and also fiction. 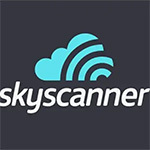 Skyscanner is always the first place we go to search when we’re looking for flights. It aggregates flights from various airlines so you can easily compare costs and routes without having to visit a travel agent. 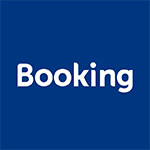 When we’re looking for hotels, Booking is always the first place we look. The site has a variety of places to stay, including hotels, hostels and small BnBs so we’ve never had trouble finding something we like. Many properties also offer free cancellation and you usually don’t have to pay until you arrive at the property so it makes life a lot easier. 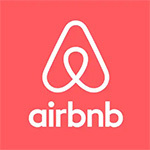 We have been using AirBnB since 2012 and love it. We prefer staying in AirBnBs vs hotels as it makes it easier to work, cook and feel like you’re at home. They’re much better for productivity. Often, they’re cheaper than hotels too and you have a much personalised experience.